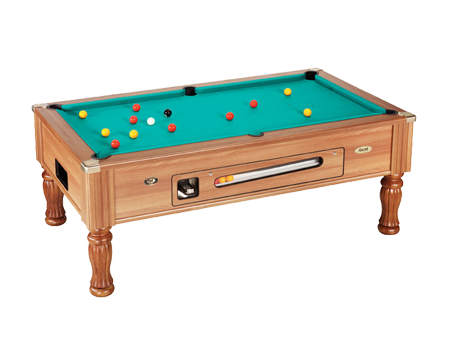 The Ascot Coin Operated Pool Table is a traditional style pool table. The wooden legs of table are finished to the same colour as the veneered mdf table body colour. The table has individually adjustable feet to enable it to be accurately levelled to ensure that you have a level and even playing surface.